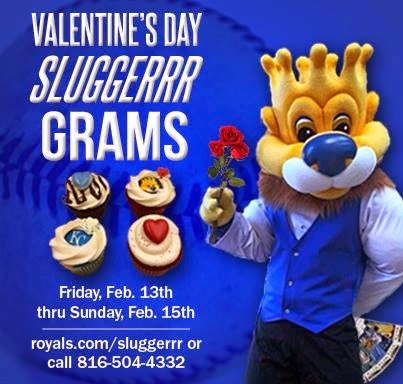 Kansas City Royals Valentine's Day Cupcake Grams Available! "Secure a unique Valentine's Day gift for the one you love with a Sluggerrr Gram. Packages include roses, custom cupcakes, ticket vouchers and a visit from our favorite loveable lion, Sluggerrr! Valentine's will be handed out Fri, Sat and Sun of Valentine's Day Weekend this year and cost $150, but include more than enough goodies for any KC Royals fan! 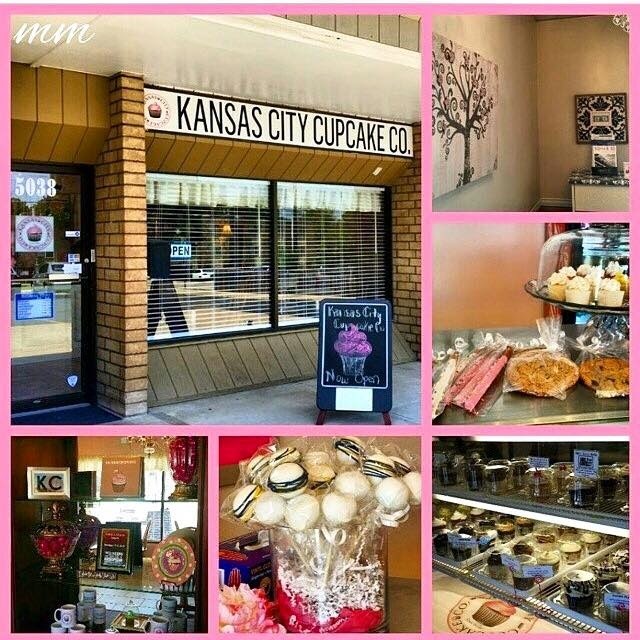 The cupcakes are being supplied by local cupcakery, The Kansas City Cupcake Co. I have been there recently myself and can fairly highly recommend them. With their emphasis on customer service, I'm sure they'll do a great job!